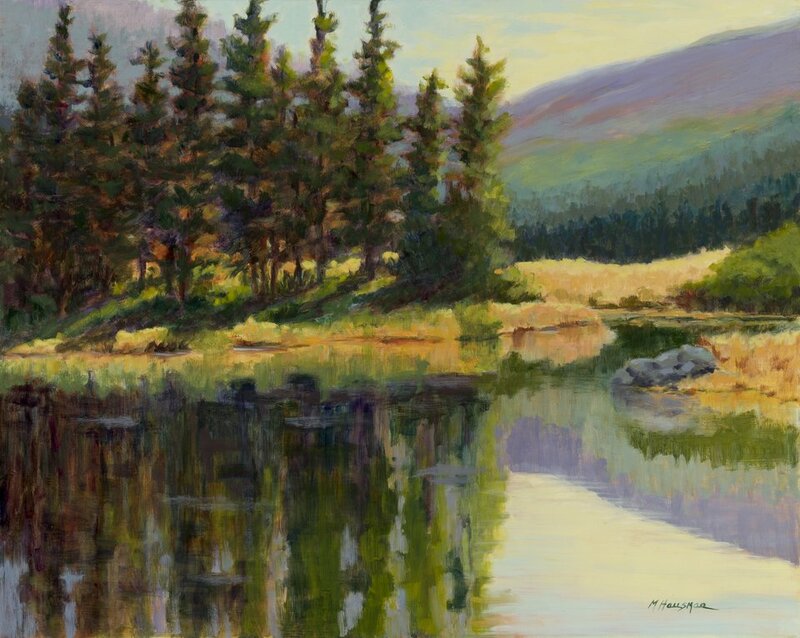 Many of the paintings I create in my studio are based on one or more smaller plein air paintings which I have made on site. 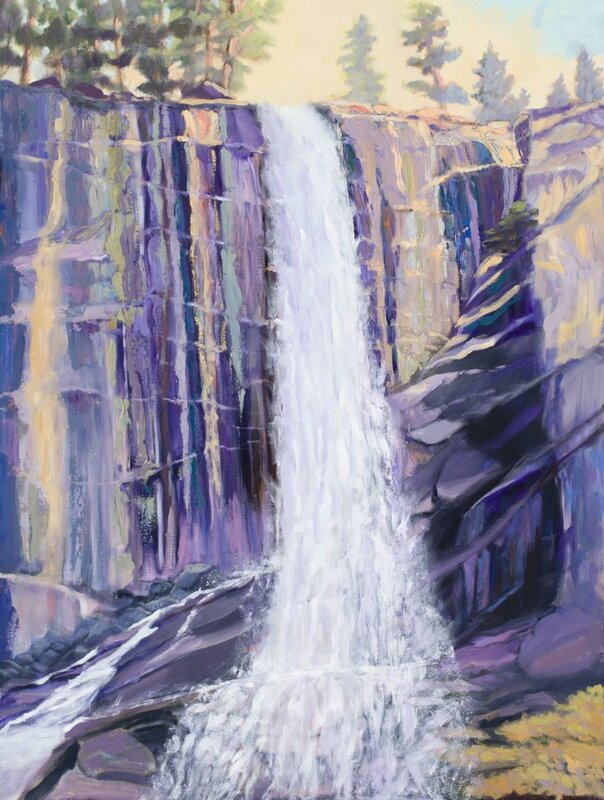 These paintings, which will develop over a period of weeks or months, provide me the opportunity to more deeply explore a scene, and to create a large statement of what I find important about that place and time. Images from King's Mountain in Woodside. 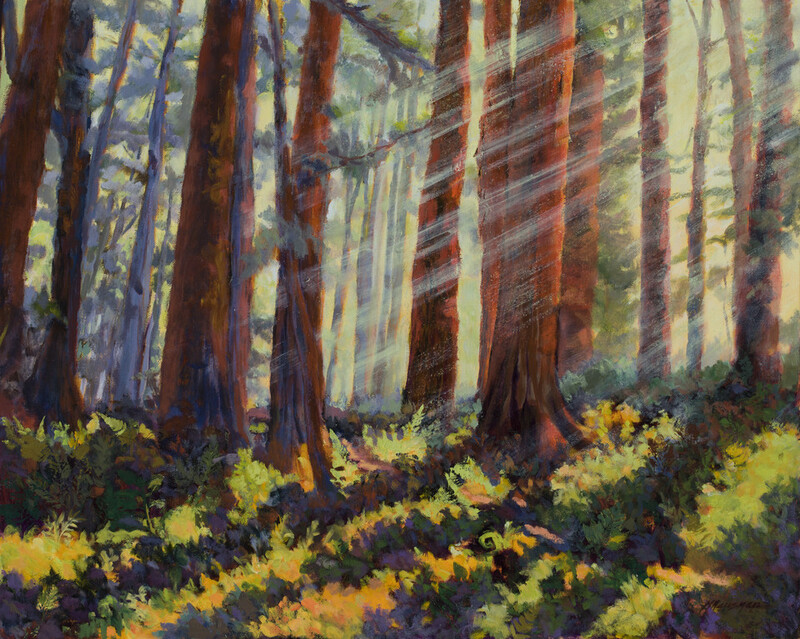 Some mornings, as the fog burns off, the sun casts light rays through the forest, creating a magical effect. 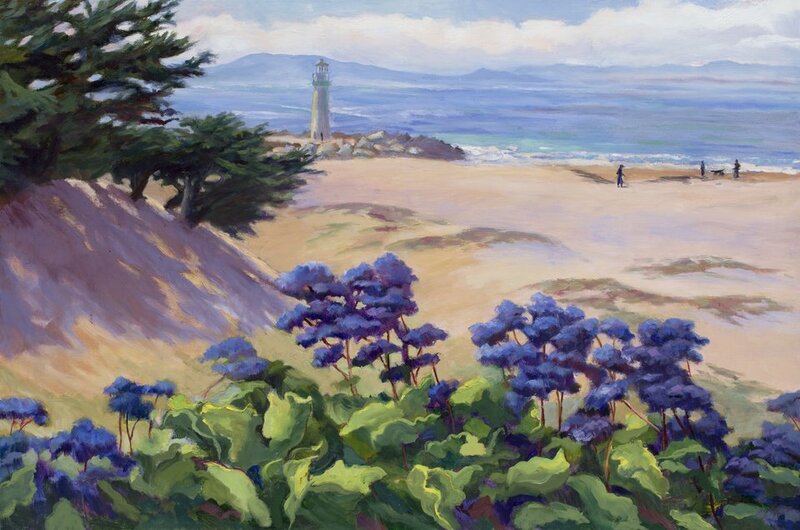 The color of these sea lavender flowers along the Pacific Coast stopped me in my tracks on a plein air expedition with fellow artists. The painting I did that day led later to this larger studio work. 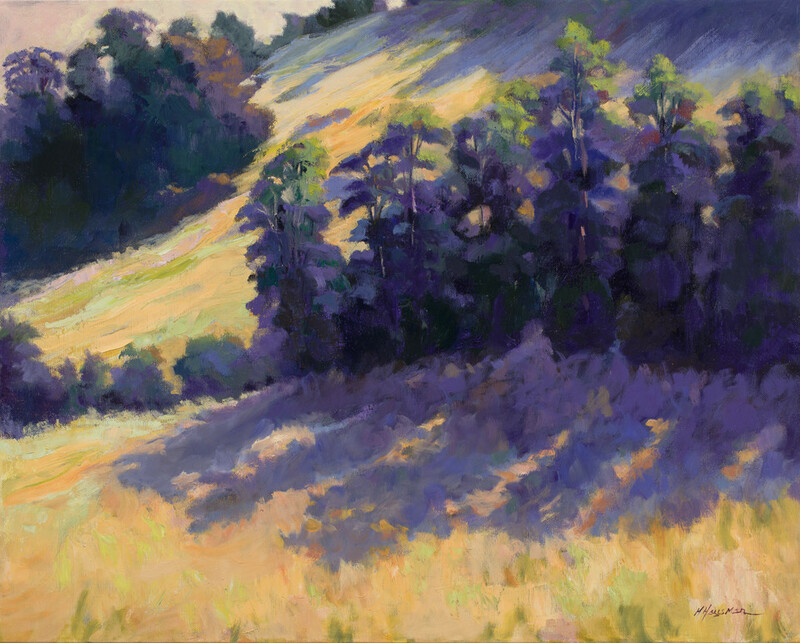 I emphasized the shadows' lavender to unify the painting. 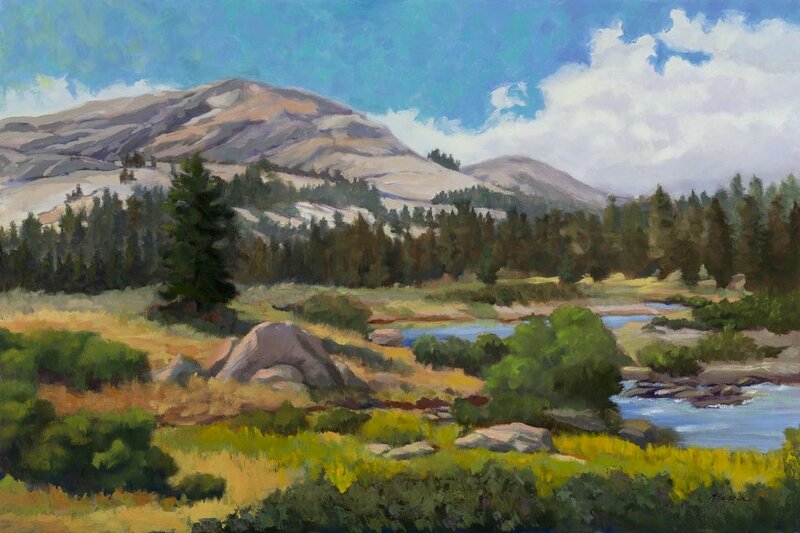 Painting created from images made on a trip to the Sierra. The river cut through the high meadow, leading the eye. 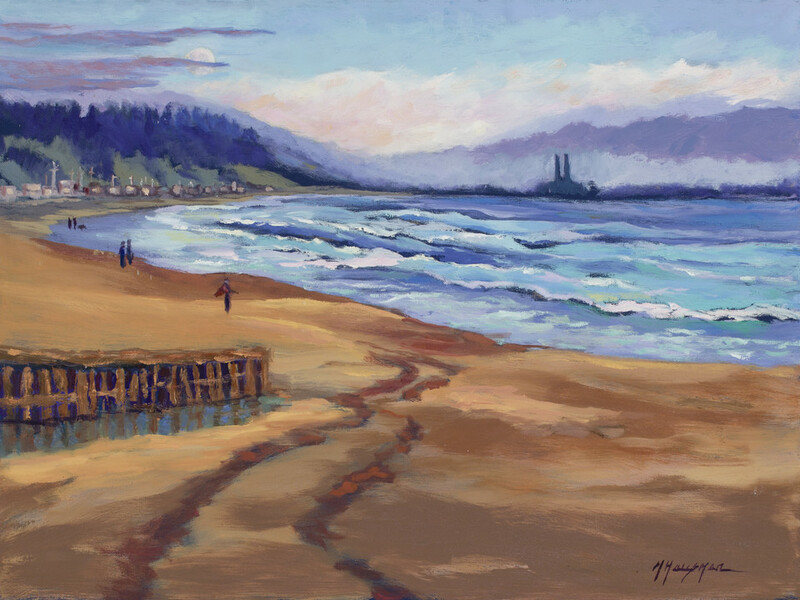 The granite slabs of the distant mountain were set off by the deep blue sky. Bright grass in the foreground balances the granite mass. 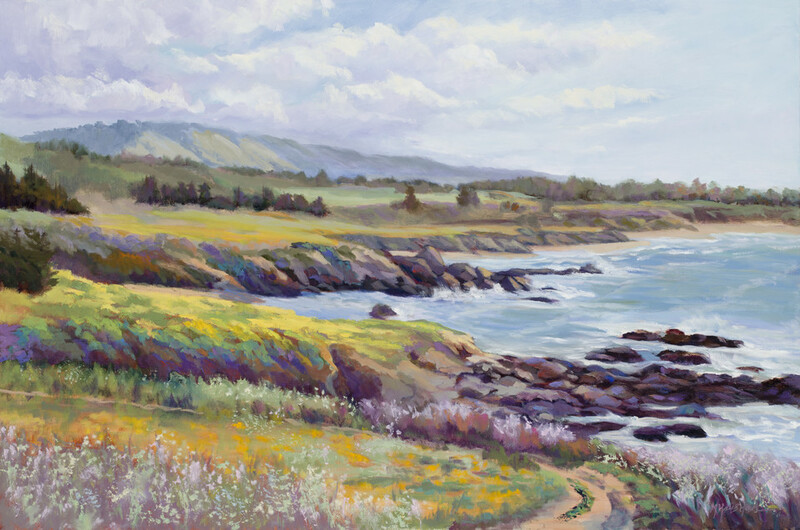 Wildflowers in bloom create brief explosions of color on our West Coast landscapes. 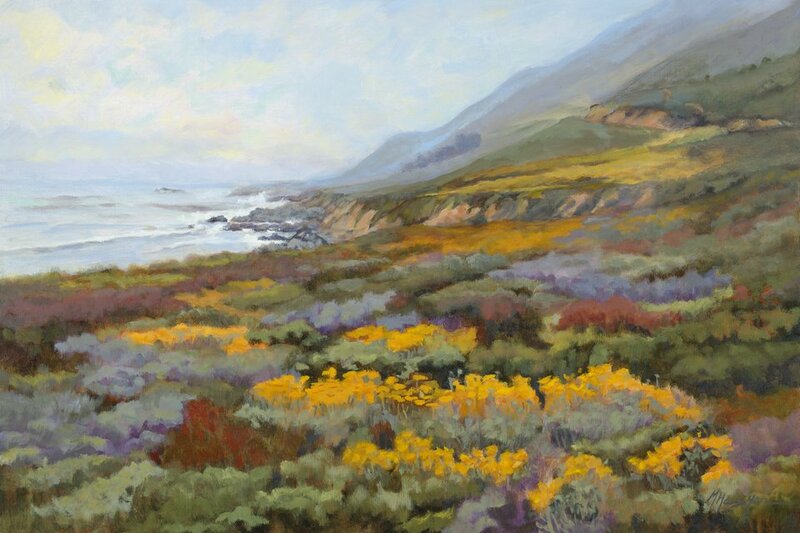 I’ve stopped and painted several times at this spot on the coastal highway just north of Big Sur. Here, in June, gold wild yarrow is complemented by blue mist-muted mountains. From this vantage point, I can see for miles looking north. 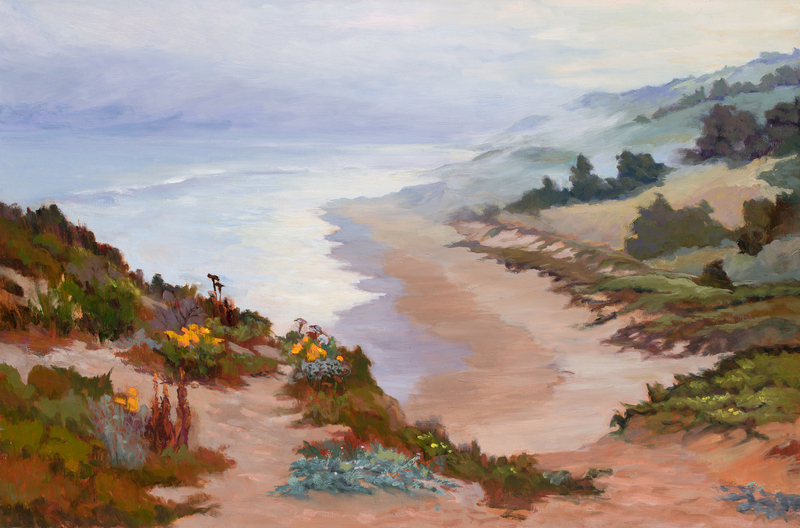 The layers of mountains, sloping down to the sea, provide an exercise in atmospheric perspective. 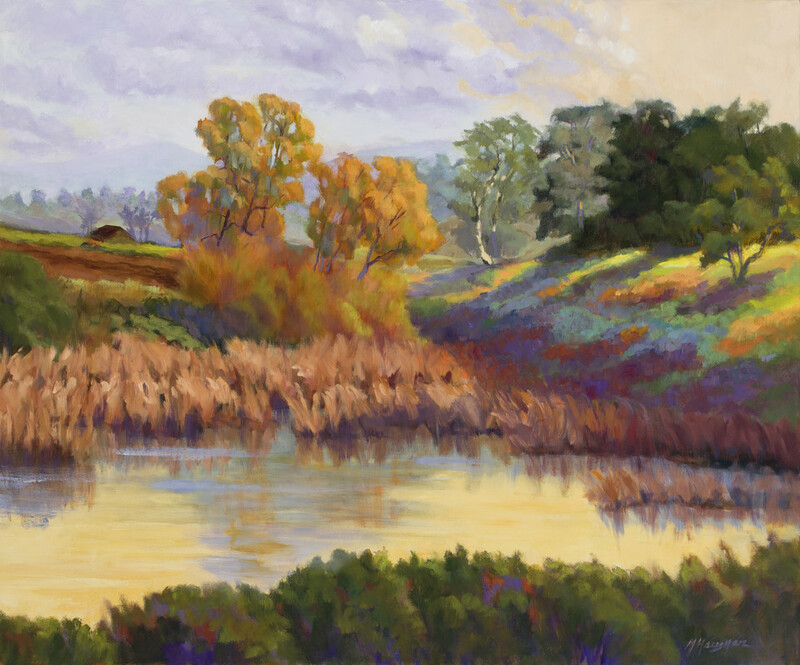 My art studio sits alongside Soquel Creek, in Santa Cruz County. The creek goes through dramatic changes with the seasons. 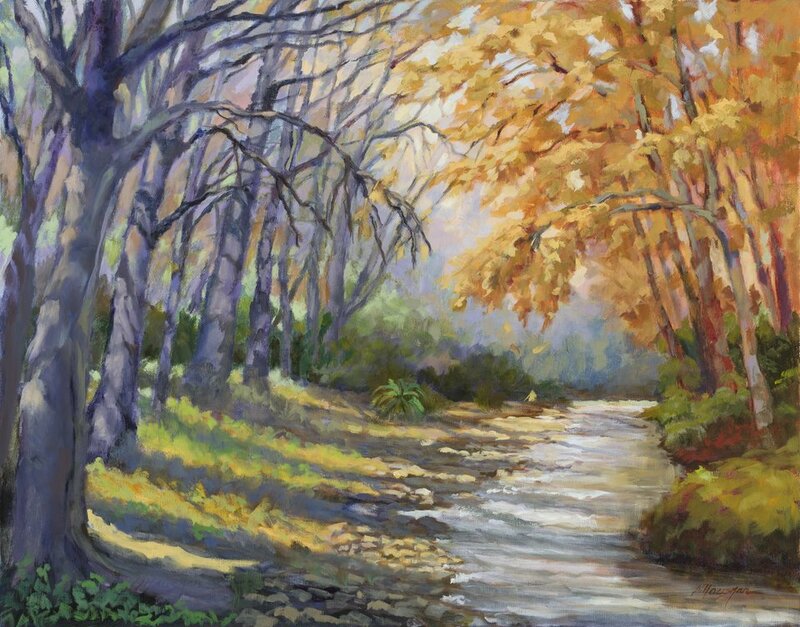 This painting reflects the colors of Autumn there and the creek’s path through the forest.